Case Study, Secondary - Show Me WOW! A thematic approach can be used successfully at secondary level. It is not purile, but, done in a more teenage style, is good practice, backed by sound academic educational philosophy. I believe that anyone who questions this has not read any recent educational research texts…in fact, they probably have never ever read such things! Let’s embarrass them by asking them shall we? Their ill informed opinions make me see red! I have used a thematic approach repeatedly with teenagers across the secondary age range and so have many well experience, well qualified, too-numerous-to-mention colleagues. for upper primary/lower secondary pupils. To accelerate their literacy skills by using a method of teaching (thematic approach) that allows one developing skill to build on another. Why “A Cow Called Boy”? 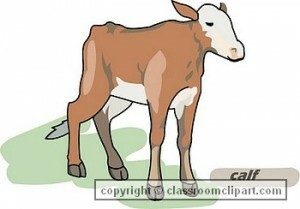 “A Cow Called Boy” has a low reading age score, although this score is higher than the score of most of the pupils concerned. The book also has “street cred” as it is used as a first year literature texts in other secondary schools on the island. The book is only a hundred pages long, so has a short story line, no complicated sub plots and a low cost outlay and, because it is already in use, secondhand copies are sometimes available here. Wall space available for big display of the story and for children’s work related to the story. Backing paper, fabric, cardboard or similar. Picture library of magazine cut outs, cards etc to use in workcard making. Paper, crayons, coloured pencils scissors, glue, and box of junk (cartons, matchboxes, coloured paper, fabric scraps) for model making. Table set aside for work cards and related display e.g. model, 3D map of the setting, model of a cow. etc. Sets of cloze procedure cards and question cards with wide range of readability to be suitable for all reading ages within the class. Imaginative writing: Imagine your pet followed you to school. Write about your day. Reported writing: You are a journalist on the local paper. Write a report about the new four legged pupil in school in your town. Letter writing: Write a letter of complaint to…..
How to writing: How to look after a young calf. How to get from Josh’s house to his school. Poster writing: Design a poster to hold up in the village square. Character Study:Choose, from the list one of the characters in the story and describe what he or she is like. Plan of Josh’s Mum’s garden. Growing seeds. School vegetable garden. Making butter. You can do this in a week. Start on Monday.Keep putting cream of milk in a screw top jar for 5 days adding some salt at the same time.On Friday play some jaunty music and shake your jar to the rhythm. Lumps of butter will appear the size dependent on the amount of cream your milk had. Spread on bread for an end of week treat. Maps of the countryside showing Josh’s route to school. Map of Jamaica showing Kendal. Arithmetic to do with credit. Follow up reference to taxes, (page94). Money for cow. Two character chatting on the square. Miming: Josh taking Boy to school. Josh’s talk to the class with Boy. 3D map of the area. Model of Josh’s house and yard. it help a little not much u could much better on the info. Thank you. Let me know how the site could help you more. Thank you Katima. Let me know which parts of the site you love most and which are useful. Where are you? I love to know which parts of the world my comments visitors are writing from.